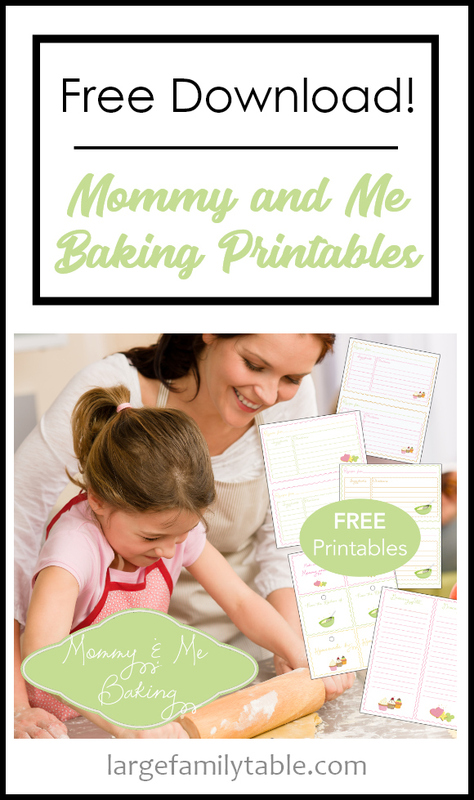 FREE "Mommy and Me" Baking Printables! Last week kicked holiday baking into full gear at our house. I’ve pulled my bread machine out to get it fired up and pulled out our favorite holiday cookie recipes too. You know I have to give my new hand mixer a good workout. This week my loose plan is to make “Christmas Crack”, easy chocolate no-bake cookies (my hubby’s favorite! ), and we’d like to give these “Gingerbread” houses a try (Connie has fun ideas for having a Gingerbread house decorating party, too). 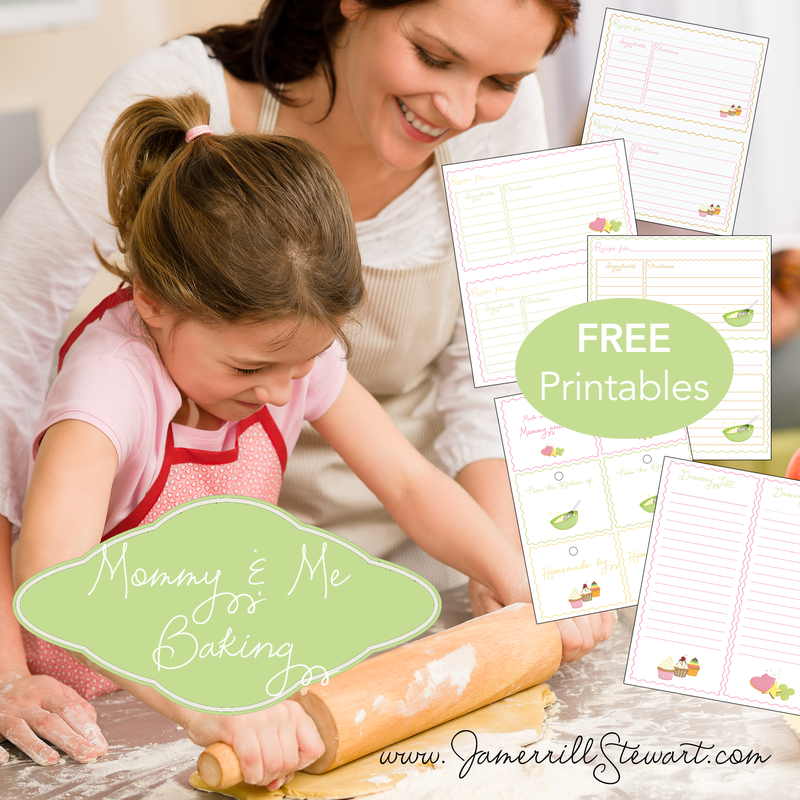 I wanted to get this set of free “mommy and me” baking printables out to you. This set includes free printable grocery lists, cute recipe cards, and gift tags for your baked goodies! You can NOW get the free Mommy and Me Baking Printables as part of the HUGE and also free Large Family Food Collection here! Years later I’ve bundled my best food freebies including meal planner, baking printables, holiday planner, and more and I’m giving them all to you now, woot! So cute! Thanks for sharing, I’m sure the kiddos would be so excited to cook with Mama.